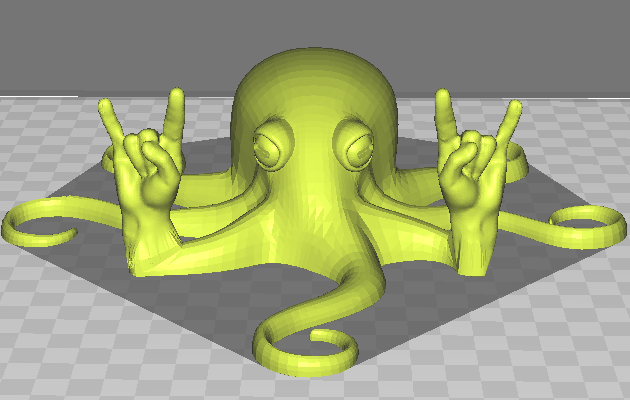 Cura LulzBot Edition is a Free Software 3D printing solution offered through our code repositories. System requirements and the End User License Agreement can be found on LulzBot.com/Cura. Cura LulzBot Edition version 2.6.66+ contains firmware standardized for use with all LulzBot Mini 3D Printers, and contains important bug fixes. However, once your firmware has been updated to 1.1.5.70, GCode files sliced with earlier versions of Cura LE will no longer be compatible and will have to be re-sliced using the latest version of Cura LE. We recommend using the latest firmware included within Cura LulzBot Edition to maximize long-term compatibility. Users that need to use existing GCode files can restore compatible firmware (1.1.5.64 or below) through Legacy Cura LulzBot Edition v21.08. You may need to "Allow app installation from sources outside of the Mac App Store". Follow the instructions below based on your version of macOS. Compatibility note: Some macOS 10.11 users are reporting a failure to connect to USB and serial port devices. More information is available here. The commands below will delete the older slicing profiles and 3D printer settings from previous versions of Cura LulzBot Edition. Back up the files and folders listed below first if any customizations have been made. Note: To prevent potential computer shut downs when printing through USB turn off your computer sleep settings. Click on the Apple icon in the upper left corner of the screen. Select Energy Saver, and move both the Computer Sleep and Display Sleep sliders all the way to the right to Never. Return to the main System Preferences window. In the Security & Privacy window click on the lock icon in the lower left hand corner of the screen. In the section titled Allow apps downloaded from: select Anywhere. In the next pop-up window select Allow From Anywhere to continue. Drag the cura-lulzbot file into your Applications folder. Click on the Cura icon to open Cura LulzBot Edition! Find Cura in the Applications folder. Drag the Cura icon from the Applications folder to the Trash located at the end of the Dock. Click on Finder and Empty Trash to permanently delete Cura.